With the holidays over and the malaise that comes with it slowly shaking off as we all return to our normal routines, there are no doubt plenty of new mobiles devices that found new homes this holidays. Going from being used almost obsessively out of the box to being left behind or in pockets and purses during the daily grind can get lonely for a phone or tablet. But fear not! There’s no better way to keep your new mobile device company than with a few new apps on its internal storage. Start the new year out right with all the best apps and updates to make their way to market since the start of 2013. Music knows no bounds – and that goes for operating system as well. 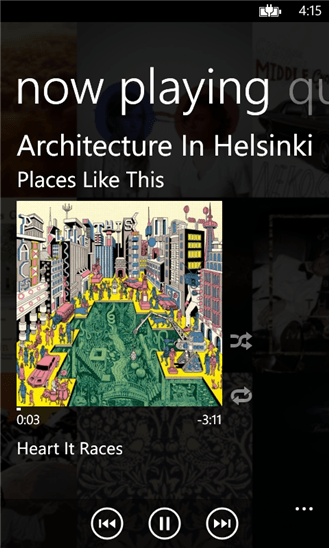 Rdio knows this, and has updated its popular app to include support for Windows Phone 8. Aside from making its appearance on Microsoft’s latest mobile OS, Rdio also features some new improvements that improve the search features and makes online playback better. Rdio explains a new look in the Metro style that Microsoft has been working to wipe out of the vocabulary of its users. While Microsoft likely doesn’t care for the description, it and its users will be sure to enjoy the actual interface. Windows 8 users are getting all kinds of new treats to start 2013. When they’re done listening to music, they can now chat with their friends about their favorite tracks, or anything else, on the newly updated Skype. 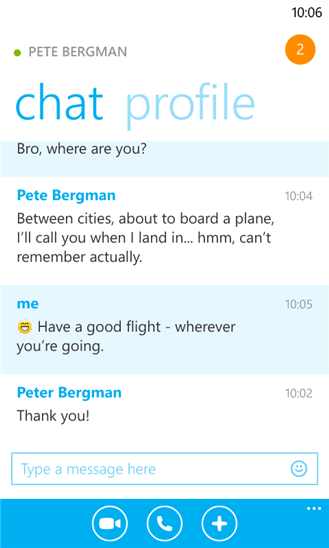 Following through on Microsoft’s plan to retire MSN Messenger and switch over to Skype, the newest version of Skype for Windows Phone 8 allows users to chat with people from their Messenger buddy list. It’s worth taking note, however, that the update also kills functionality with People Hub. It’s planned to return in a later update, but don’t be shocked when it disappears in the meantime. 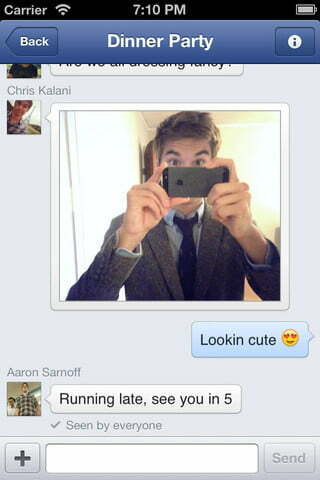 The latest version of Facebook Messenger includes the ability to send voice messages and complete VoIP calls. You’ll be able to share the voice messages in the same way you can with media or text messages, sending it over the chat service built into the social network. The VoIP calls is in beta for Canadian users only at the moment, likely because Canadians never have anything negative to say and are most likely to provide positive feedback. We hope we’ll all have a chance to try out the free call feature soon. Take a step closer to making your phone sentient with this app. 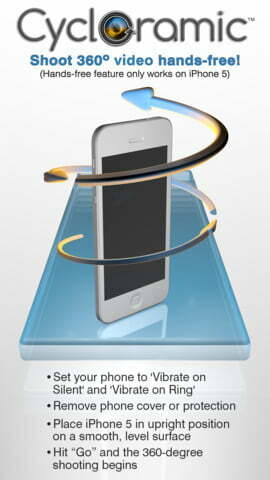 It turns your iPhone 5 into a hands-free panoramic video recorder. To make this possible, the app uses the phone’s internal sensors and vibration mode to turn the device around 360 degrees and record video from every angle. We’re not sure what exactly sure what you’d do with this app, aside from enjoy the novelty of it while watching your phone spin around on its own, but it’s definitely something worth playing with. Sing! 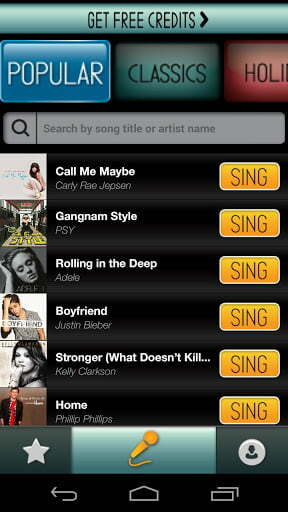 Karaoke turns your phone or tablet into a portable karaoke machine. Scroll through a wide variety of tunes that you will inevitably butcher, pick your favorites, and pass the phone around so you don’t have to experience the embarrassment alone. Turn any bar into a karaoke bar, and then get yourself kicked out for singing too loud for everyone’s comfort. Your daily regimen has a flow to it, so why shouldn’t your schedule and task list? 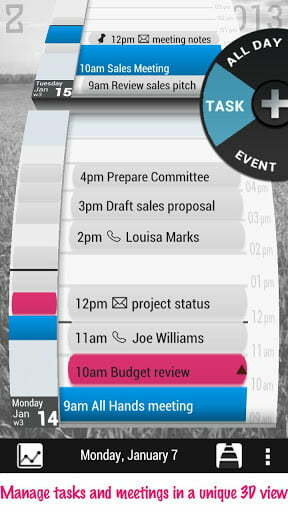 Zime gives your entire calendar a clever and unique 3D view that puts your plans on an easily manageable scroll. Sync your calendars and to-do lists and turn them into one continuous stream that will catch you in its waves and carry you through your daily routine. You can set priorities and manage all of your tasks in an easy way that will make your tasks come and go with ease. Ok, there’s no shortage of alternative keyboard options for Android, but that doesn’t mean the best method has been discovered yet. After all, the first typewriter design had keys all in one row like a piano. 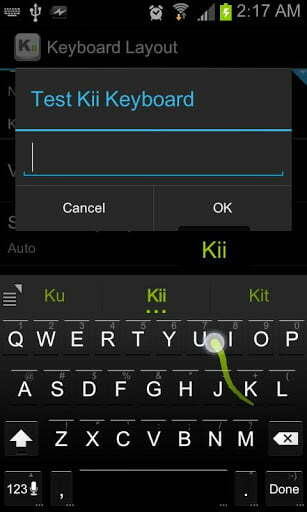 Perhaps Kii Keyboard will be the next big breakthrough. Taking cues from gesture-style keyboards like Swype and prediction-style keyboards like SwiftKey, Kii Keyboard is trying to put the best of both worlds together for one great offering. Too many word games limit the way you play. It’s either you against one other player or competing against time. Wordament makes the experience more universal. Take two minutes to try to find every word you can on a game board – the exact same game board that every other player in the world is looking at as well. Play with certain stipulations and rules or just try to find as many words as you can and then see how you rank, in both score and percentile, against the rest of the world. 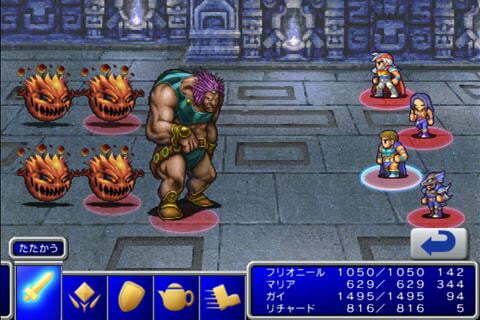 The classic RPG from Square Enix has made its way onto Android devices. Telling the story of the second installment of the classic series, Final Fantasy II gives the old game a new home without costing it any of its charm or replay ability. You’ll get even more adventure than you got in the original versions, with new dungeons that extend the length of the game experience. Not that you’ll need it, really. This is a Final Fantasy game, after all. Even more classics are finding mobile devices to be comfortable homes to relive their glory days. 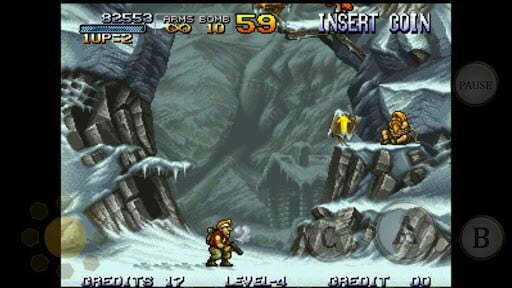 Metal Slug, the shooter/platformer that will have players fighting through various terrain and blasting away baddies with a variety of weapons, brings back the challenge that is too often lost in modern homages to the genre. This game returns to show its successors how things were done back in the old school, and it holds up just fine.